"Residence of H.J. 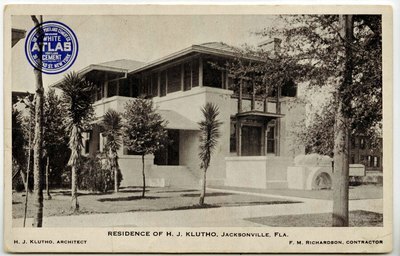 Klutho, Jacksonville, Florida. Circa 1910-1950"